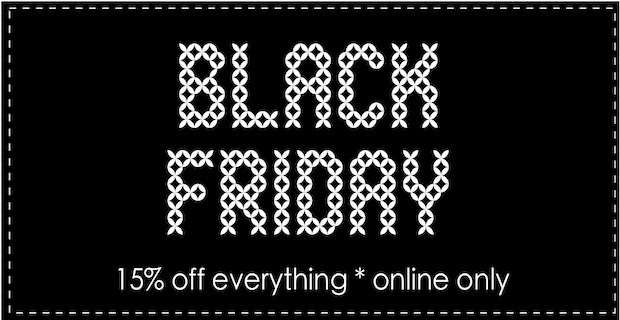 Today is looking like a very good day to visit Eternal Maker - there is a 24 hour 15% Black Friday discount off everything, online only! This has been a popular range- great feature prints and strong mixers and many of the single prints are sold out else where. Good for boys and girls (and grownups)! Persimmon has totally passed me by before today, this Marionberry selection is another colour way and a slightly bigger bundle. The prints are very pretty and incredibly usable. 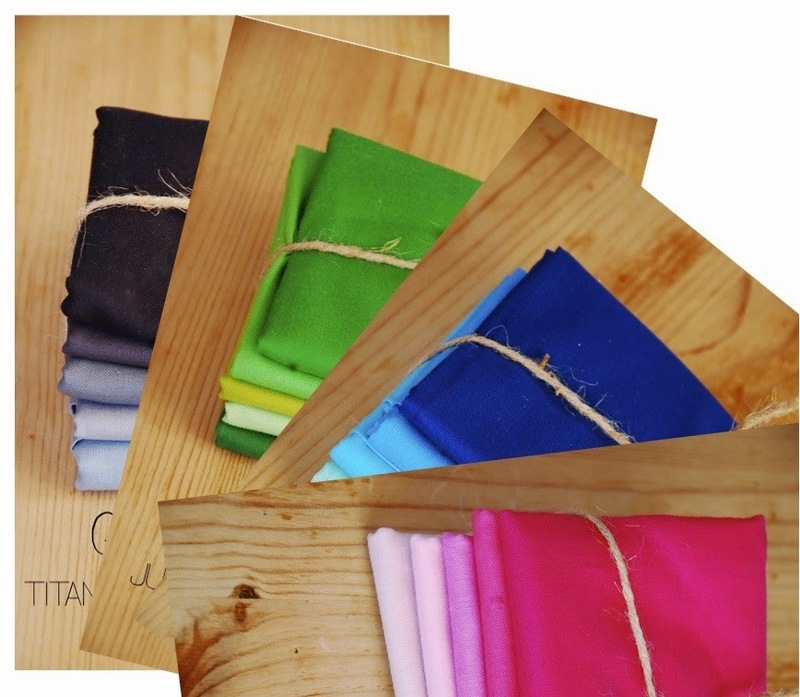 The Kona bundles are perfect stash builders-choose your colour from the 14 options available! Remember, everything is included today so if you need a pattern- Emery Dress maybe? You can see this dress all over blog land, and Christine Haynes, the Emery Dress designer hosted a detailed sew-along including different bust adjustments. 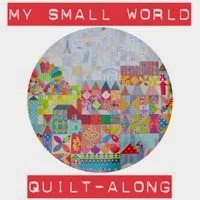 A quilt kit is a great bargain with the Black Friday discount. 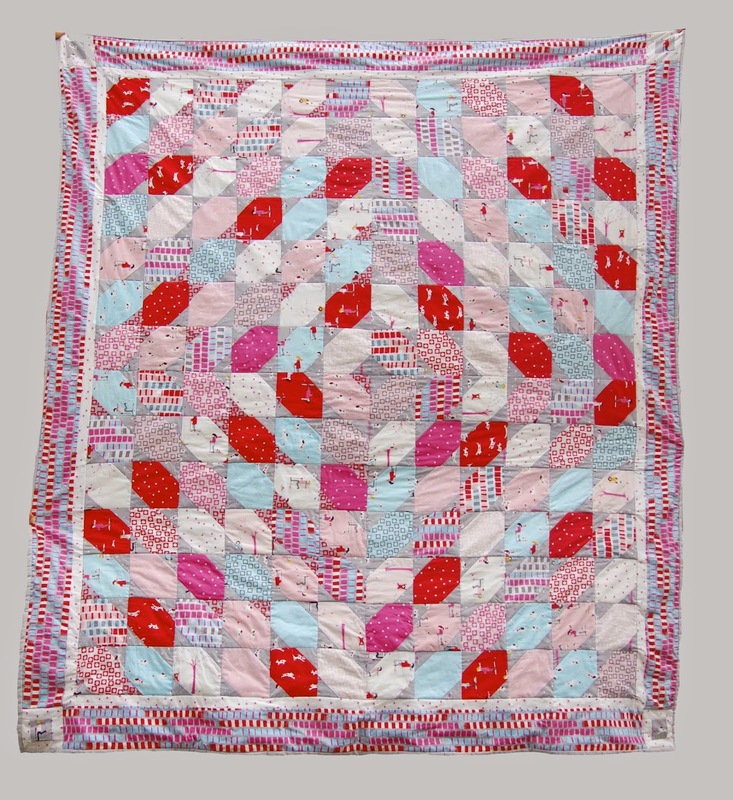 This Sherbet Pips kit provides the fabrics and instructions to make the 65" x 75"quilt top. 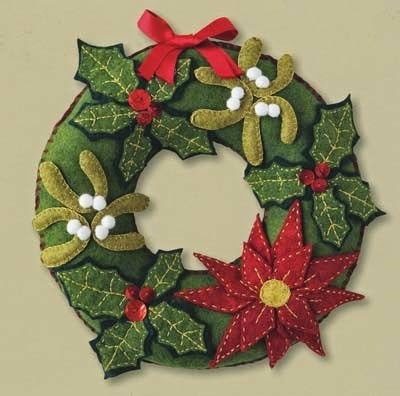 And to welcome Advent, how about a wool felt Wreath? Available as a pattern or a kit. A black friday sale awaits you at Sew-Ichigo! 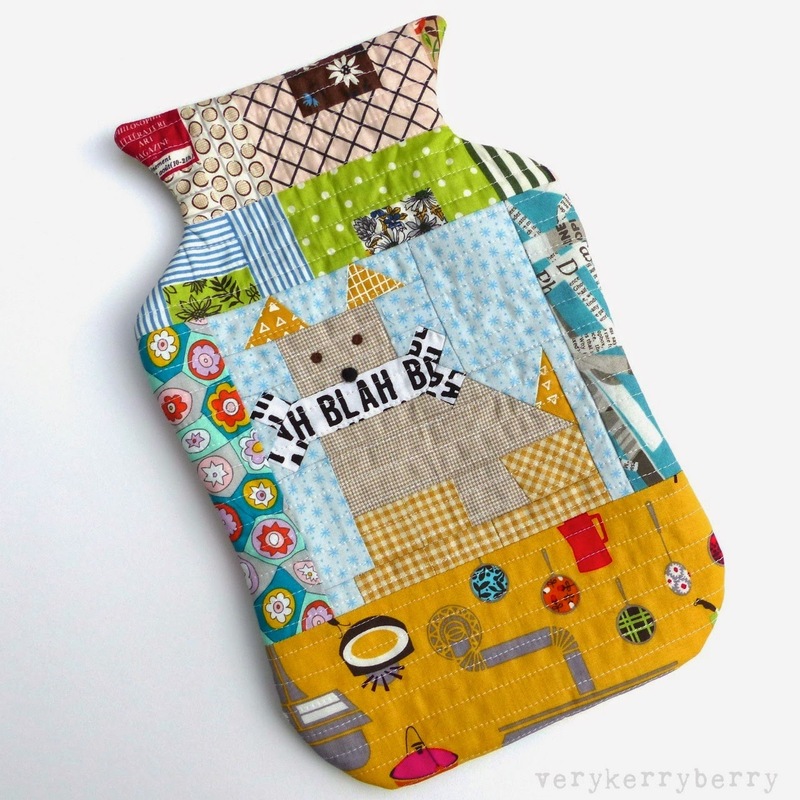 There is a 25% off all patterns in the blog shop, Craftsy and Etsy shops. The price has been discounted for you on Etsy and Craftsy. 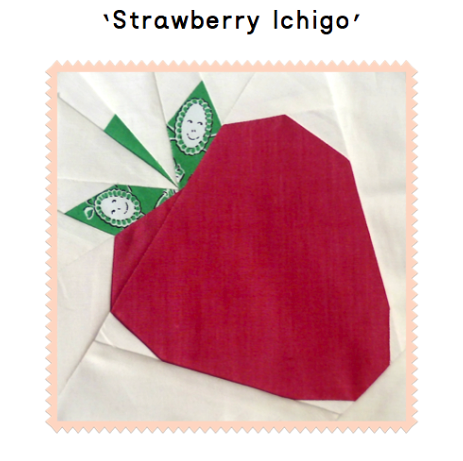 To get your 25% discount in our Sew-Ichigo shop, use blackfriday as your code! 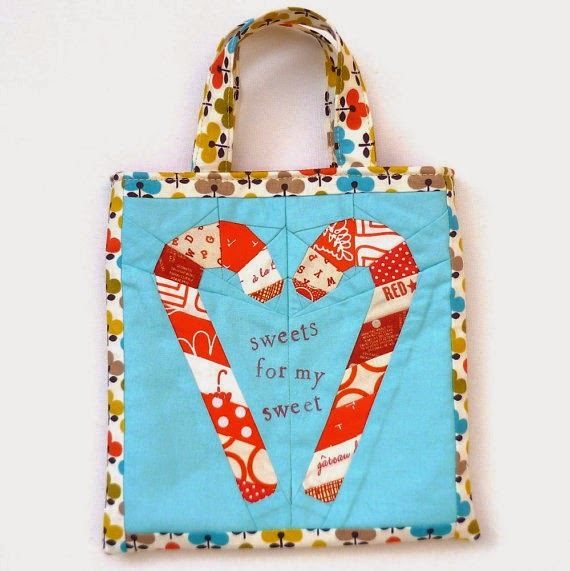 See our tutorial page for lots of free links to make bags, mini quilts and more with our block patterns! Discount runs from Thursday to Sunday inclusive. You can also find 25% discount for my Winter Woolies and Candy Cane Love patterns over on Etsy- the discount has already been calculated for you! Happy thanksgiving to all USA readers. A holiday where you celebrate how thankful you are for what you have always sounds very appealing to me. No pretty pictures today, instead, tax facts and info- hmm, really got your attention with that! Read on, this is stuff you need to know. In January, a European law comes into effect that impacts on digital sales from anywhere in the world to Europe. Why am I mentioning this? If you buy or sell PDF sewing patterns, video tutorials, ebooks etc this is going to have some sort of impact on you. You can read a concise explanation and a quick break down of the implications here. It fundamentally means that for all digital sales to European customers that VAT is calculated at the customer's country, rather than the seller's country. The rate of VAT varies hugely across the EU. There is the option in the UK of registering for VAT with MOSS- Mini one stop shop. At present, you only have to register for VAT in the UK when your taxable turnover reaches £81 000. Once registered, quarterly VAT files would have to be prepared and ultimately the costs for each country involved in a transition would be worked out and then paid- in the currency of that country. For the sales I am involved in for my own patterns and Sew-Ichgio, this level of record keeping and accounting ( I would need to pay for accountant services I think) is way beyond the income I receive, it is way way below £81K! For small businesses, it looks like a solution is for a third party to offer an internet portal/shopping cart which automatically calculates the VAT for the customer's country at point of purchase and takes liability for that. This is not available yet. It is going to be a race to see who will offer this facility first as there will be a lot of sellers waiting. However, there seems to be no rush from Etsy, Craftsy or shopping cart providers like E- Junkie. Each of those links takes you to their responses to this, I couldn't find anything for Craftsy. Otherwise, it seems there is not much more we can do. This change in the law takes out the option for people to add a Paypal button to their webpage or use a shopping cart/download provider like e-junkie. Once there is a suitable market place provider that can offer this, everyone's prices will need to increase because their fees will go up to cover VAT and administration of the service. I am imagining a developing situation with this next year with the hardest bit being at the start of the year when VAT liability kicks in on your first sale of 2015. Lots of sellers will not be able to sell to European customers until a solution is found and it may put some sellers off permanently and they will just sell outside of Europe. If anyone else has other ideas on how to deal with this situation please leave a comment. For the start of my monthly visit to Village Haberdashery here is what I ordered this month from Village Haberdashery. I was tempted by the new releases, firstly Katy Jones' Priory Square for Art Gallery. I know lots of vintage lovers have singled out this Cottagely Posey pretty sprig floral for praise and I can only join them! I bought the knit jersey version which has a touch of spandex in so makes for a stretchy cotton based fabric which recovers well. I think this is going to be a Coppelia top for me, I am hoping to make it to wear over Christmas. 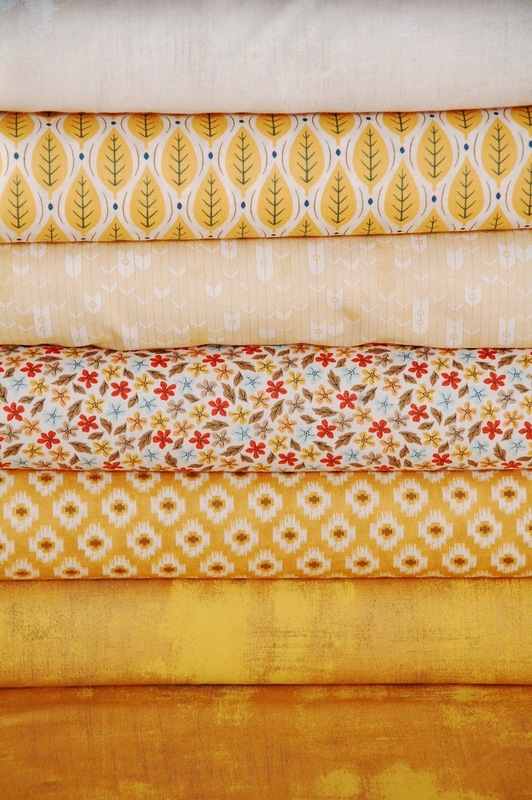 I've been looking at a lot of blender fabrics recently, prints that give a bit of space and breathing room to the louder prints. I don't use many solids and I often find I don't have the right blender prints when I need them so I've had a dig around the stash builder section and these are a few that I've found. 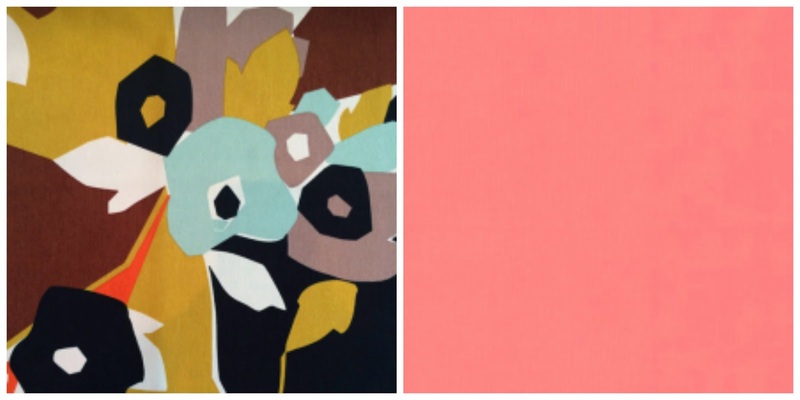 Firstly, there's a great range called Figures by Zen Chic for Moda which combines number typography and some graphic shapes but not too strongly- very geometric graphic prints often don't appeal to me. 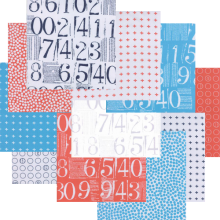 This print is called Numbers, the colours are Linen, Vaper and Ocean. 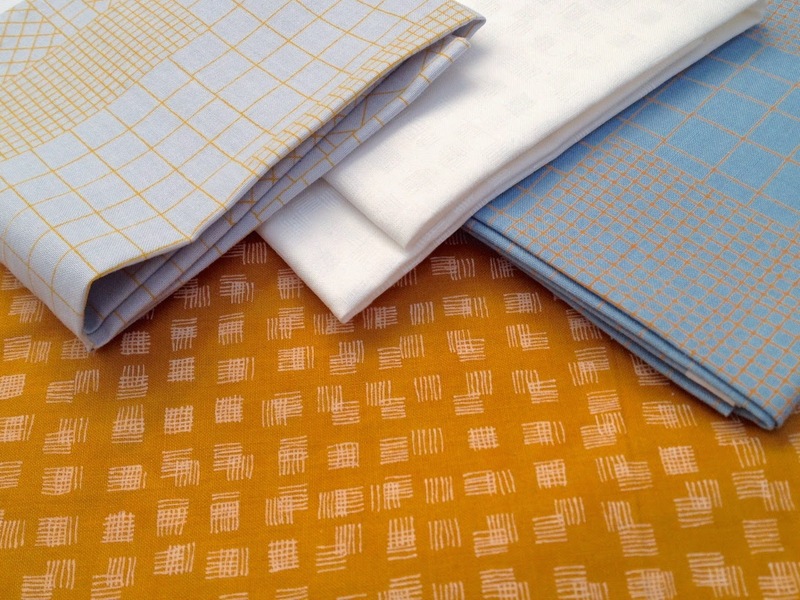 These are Linen and Salmon, and Linen and Graphite. You can find the build a bundle option here for more prints and colours. 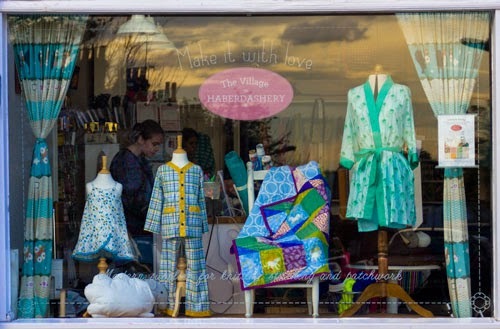 It's a great time of year to be making nightwear. 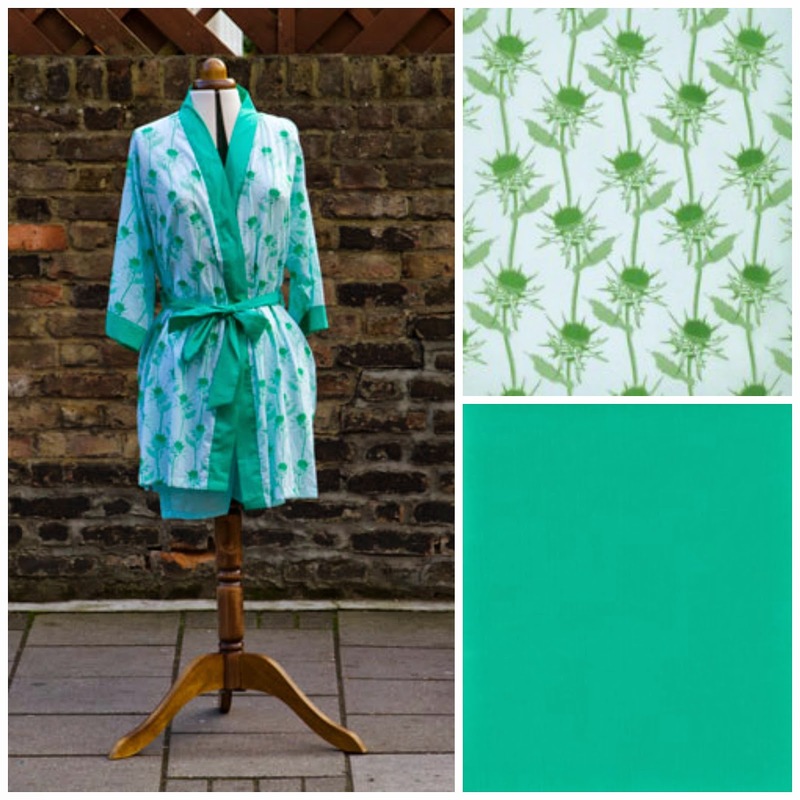 It feels like the less glamourous side of sewing but it is always much worn, fit issues are less of a bother as comfort rules for pyjamas and it makes for a good gift project too. Annie has devoted her most recent window display to nightwear. The Buchanan wrap is a great pattern for a beginner dressmaker. There are no tricky fastenings, it is a loose forgiving shaper and works as a PJ top as well as a dressing gown. I've made a similar wrap to this in Art Gallery voile and I find it really useful for travelling as it packs very small in a travel bag. 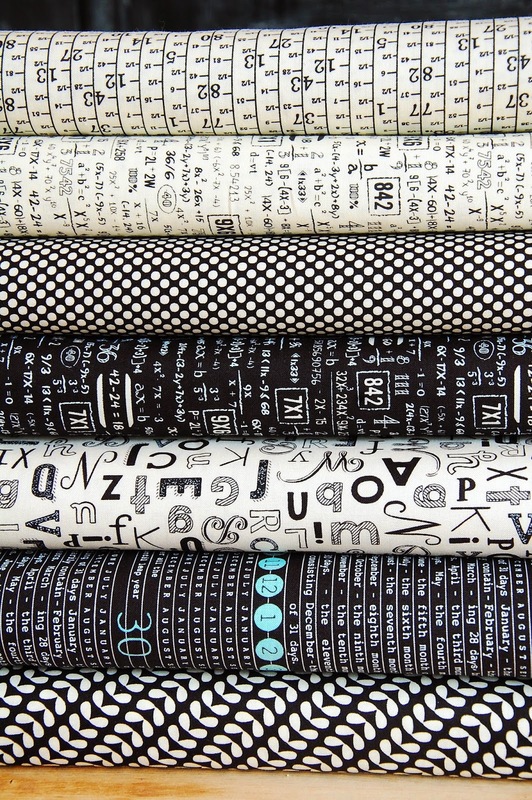 And for the more experienced, viscose/rayon would be very slinky indeed and some new graphic bold prints have just arrived. 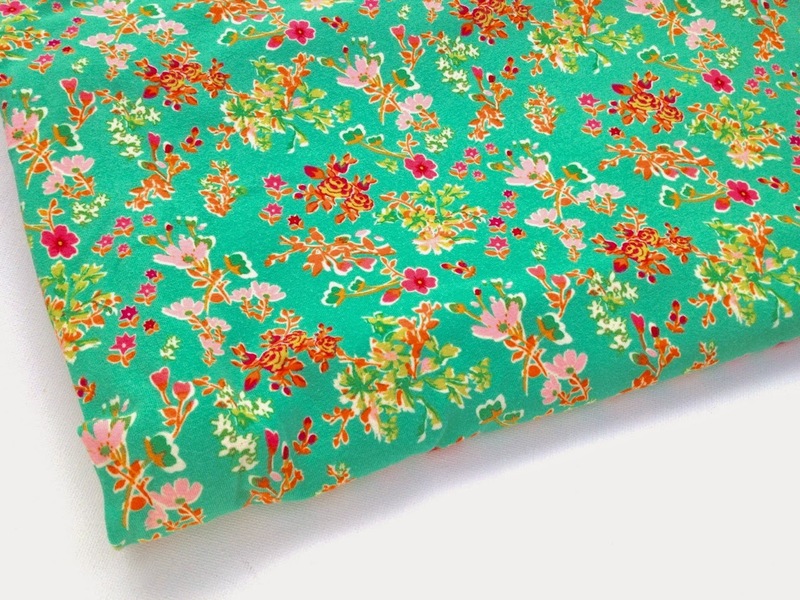 This pattern is a bit of a fabric guzzler so this wide viscose/rayon is a more competitively priced option too but do bear in mind that it is trickier to handle and sew than cotton. Thankyou for all the comments, thoughts and options that came from my Money, Money, Money post. They made for interesting reading. Many commenters mentioned areas where they had particular experience and expertise, raising new points to consider and giving us all more to think about. I feel I will go into next year with a more informed foundation to choose what I work on, paid and unpaid. Meanwhile, Christmas makes are already afoot. I have had requests for home made presents this year from three family members, plus I have friends to make for and some decor to sew up. Karen had some new advent calendar kits on sale on Instagram and I couldn't resist the vintage fabric/number typography combo. I sprayed all the fabrics liberally with non aerosol starch as vintage fabrics tend to be rather floppy and used a stiff unused vintage pillow case to give it extra stability. I used my Janome blind hem foot to whiz round the pockets. 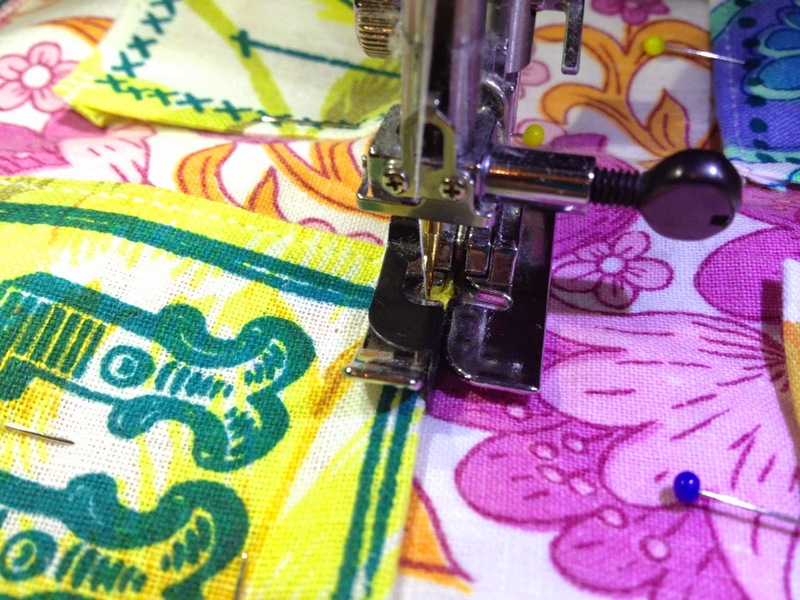 It is a great foot when you need to do a consistent top stitch ⅛" from the fabric edge, very handy on pockets. Black Friday is this week, keep a look out for a special Sew-Ichigo discount that may well be coming up on Thursday! I've been thinking about writing this post in ages but I wasn't sure there was an appetite for reading it. There have been some posts I've read on social media in recent weeks that have made me feel otherwise Not everyone wants to talk about income. I remember going to a thirty-something dinner party with my husband a few years back when the conversation was about mortgages and babies as that was the life stage we were all at. Everyone was happy to talk about their interest rates, household costs and sleepiness nights with babies, then Damian mentioned income and the room fell silent, no one wanted to talk about what they earned, it was taboo. I don't earn a lot and I am self employed so it varies annually depending on how successful the year has been financially. I live a modest life, one car, small house, not much in the way of holidays. The majority of my income comes from running music classes for children 0-5 years. Its a rewarding job- I love teaching, music and working with babies, toddlers and preschoolers. It is also a tiring job- imagine throwing a children's party multiple times each week and welcome to my world. A small percentage of my income comes from sewing and blog related activities: book contributions, magazine work, a little teaching, and Sew-Ichigo PDF patterns. In addition I do sewing related work that is unpaid- general goodwill in return for goods that I like or just goodwill. I am just prepping my accounts for my self- assessment deadline in January 2015 so it is a good time to examine how I earn money through sewing, and how much I earn. 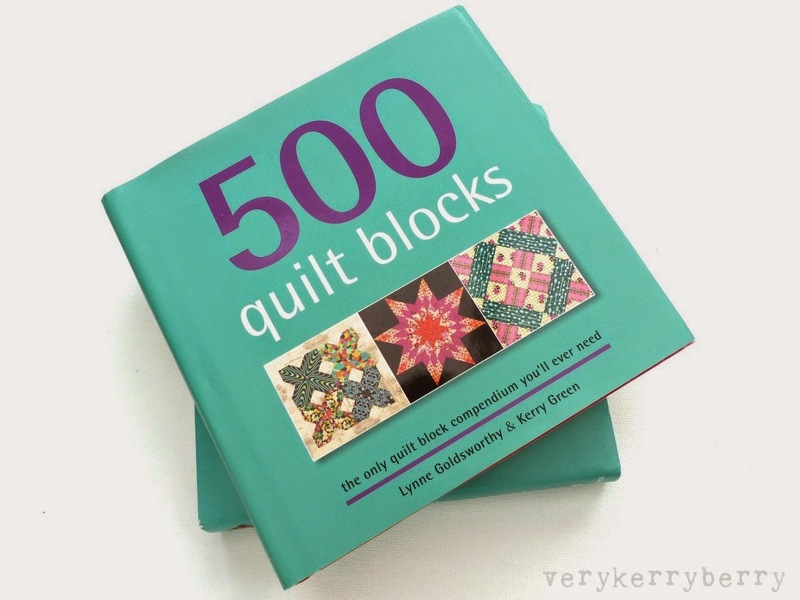 When Lynne and I wrote 500 Quilt Blocks it started as a publisher's commission and Lynne asked me to write with her. The title was part of a series of 500 books. We got to tweak the format a little but were bound by the book size and layout and worked within those limitations. We were paid a fixed fee split into three instalments rather than by royalties. We wrote it in a very short space of time- three months to write and sew everything in the book. Time limits like this can be the worst aspect of writing a book. The deadlines are decided in advance by the publisher: photographers are already booked, the first print run has been timetabled, shipping dates have been arranged so creativity has to work to these strict limits. After the writing, we had a tortuous three months of proofing when there is a constant back and forth of long PDF documents to work through and correct and strange questions and requests to deal with. We gave up a lot of family time- the twenty projects had to be made first and they were made in four weeks over Christmas whilst also getting started on the 500 blocks. The amount we earned was modest but overall it was worth it. I like collaborating and Lynne was great to work with. We kept our sanity during a stressful time because we had each other to turn to, get a reality check and let off steam. Ultimately, there is nothing quite like opening a package with your own book inside. Would I write another book? It would take a lot for me to do it alone but with someone else, possibly. You need to be prepared for some big sacrifices in terms of family time when you write and I am not sure that is something I want to give up at the moment. Being paid fixed fee meant that once the book was written our duties were complete: we didn't have to worry about publicity, blog hops and royalties and that was a relief. Its always an exciting and ego-boosting day when an email arrives telling you how great your work is and would you like to be in someone else book. Compared to writing your own book there are many pluses to being a contributor to someone else's. Usually, you contribute a single project so the time commitment is a lot less. However the payment value is low. For me it has always been paid by a fixed fee and at around £100 per project and that you have to pay for your own materials. I like to chose my own mix of fabrics but you could choose to approach a supportive shop and ask them supply the fabrics in return for a mention. If you are in the UK or Europe where quilting fabric is £12-£16 a metre, the cost of making a project, especially a quilt adds up. 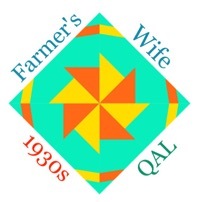 If you have a quilt professional quilted by a long armer, you could easily end up with a project that cost you more to make that you are being paid. I've worked with American publishers and had to pay my own mailing costs are £20 or more. The exchange rate can work against you and you usually end up been paid via Paypal and so more money is lost in changing currency and receiving money. The time scale for the whole process is long. The last book I contributed to has not been published and I completed the work at the start of this year. There is usually the bonus of receiving a few copies of the finished book which you can give to friends and family or sell to others to boost your contributor income. I contribute to books when I feel I am a good fit for the book concept or I have an appropriate project idea very quickly that I would like to see through and make. There are times when I've turned down contributing to a book because I don't feel like its a good fit- I may not know the author, editor or publishing house, the style might be too basic and beginner focused for the sort of project I like to work on, it might be with a restricted range of fabrics or the timeline is tight or during school holidays. 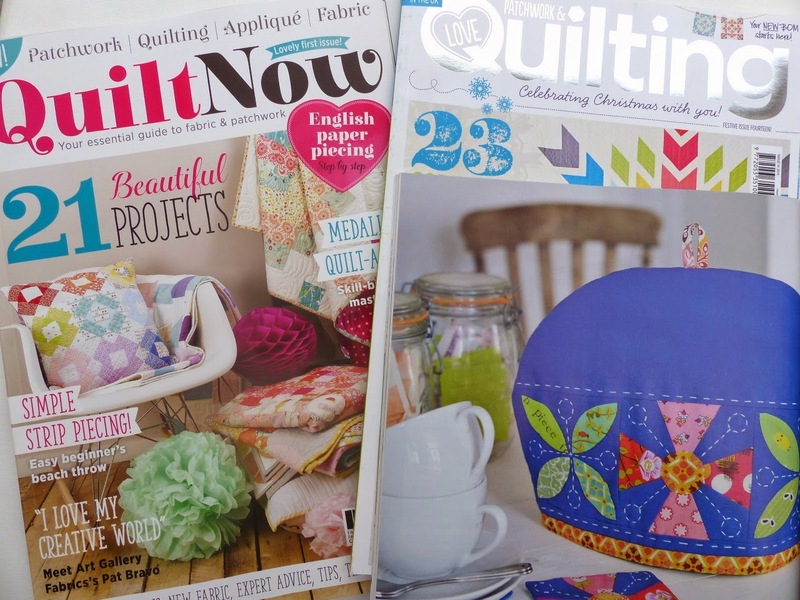 There's been a huge growth in UK sewing magazines in the last year or so, this has become a handy way to earn money and see your work in print. The turn around is relatively quick: I am currently working on something now that will come out in April. Payment comes once the magazine is published. 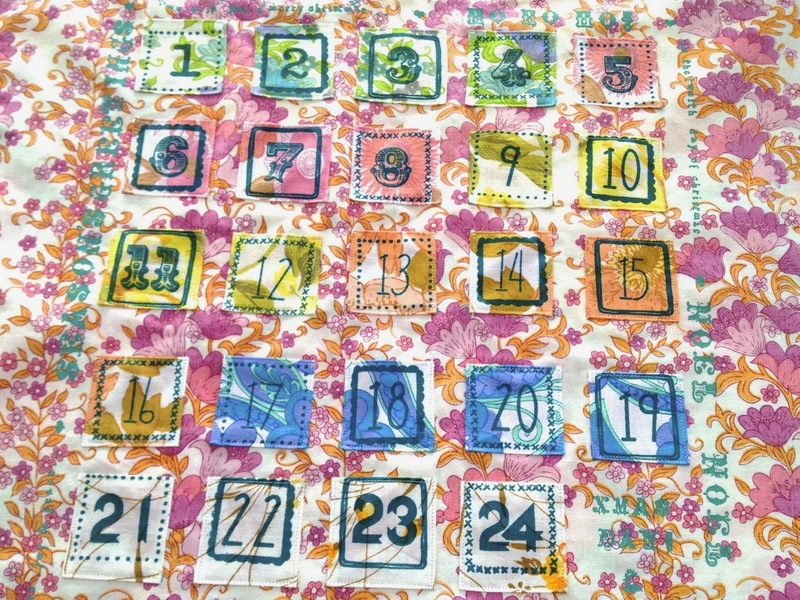 Magazines will agree a price with you and in my opinion they pay fairly and can be negotiated with, although if you make a quilt, your costs are always going to be high when offset against the project fee. The downside is the magazine itself only lasts a month so your content has a limited life span. 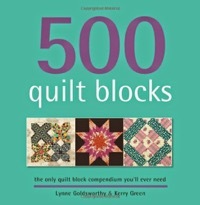 I have written for Love Patchwork and Quilting and Quilt Now and I have something in the pipeline for another magazine. I try not to do projects too frequently for any particular title- I don't want people to tire of my style or ideas and I don't have a huge amount of time to play and develop ideas. Magazines are hungry for content, every month they have 100 pages to fill. You need to be able to deliver: this means writing to deadlines and the specified format, finishing everything on time, taking quality photographs and designing an aspirational project that others will want to make. Although I started off as a primary teacher, I have limited experience of teaching regular sewing classes. There is a saturated market for teaching sewing classes locally and they tend to be taught by shop owners and their employees. I also don't want to work in the evening which is when most people want a sewing class. I have taught for Fat Quarterly Retreat and been paid for it: ultimately this usually goes towards the costs of travelling to London and accommodation. They pay what they can afford and I always have a great time at retreat. Penny and I design and sell Sew-Ichgio patterns together through Craftsy, our blog shop and Etsy. We have both had other commitments over the last year or so with book writing and the pattern sets take a long time to complete but it is an ongoing endeavour and we are grateful for a steady stream of people buying our patterns through the different outlets. This is one of my most reliable income streams when I look at it spread over a financial year. New material is coming next year. I limit my sponsors to three at the moment. I want to enjoy what I write and three sponsor posts a month is enough for me and I am guessing for you too. Each post takes around 2-3 hours to collate, write and edit and in addition to the post I need to keep an eye on my stats and ensure that my blog is an active, regularly visited place for the sponsors. I have a good relationship with each of my sponsors and huge respect for the work and investment that they put into their shops. I tend to be paid by goods. It means that I can sew more and I get to experience the shops as a consumer. I could opt for a money payment and have more sponsors but the income is limited and I don't consider it worthwhile: I do not want to become just a market place. I have an affiliate income from Craftsy. I have enjoyed all the Craftsy classes I have taken so I am happy to endorse what I have used. They pay in dollars so I have to pay £10 conversion on each payment that they send out. I don't tend to use other affiliates. I have yet to earn any money through Amazon affiliate links so I only do add them when I can be bothered! All other work is unpaid. Blog hops sometimes involve a freebie- a book, some fabric, and some don't. Why do I do them? I chose the ones I like and fit with my style. 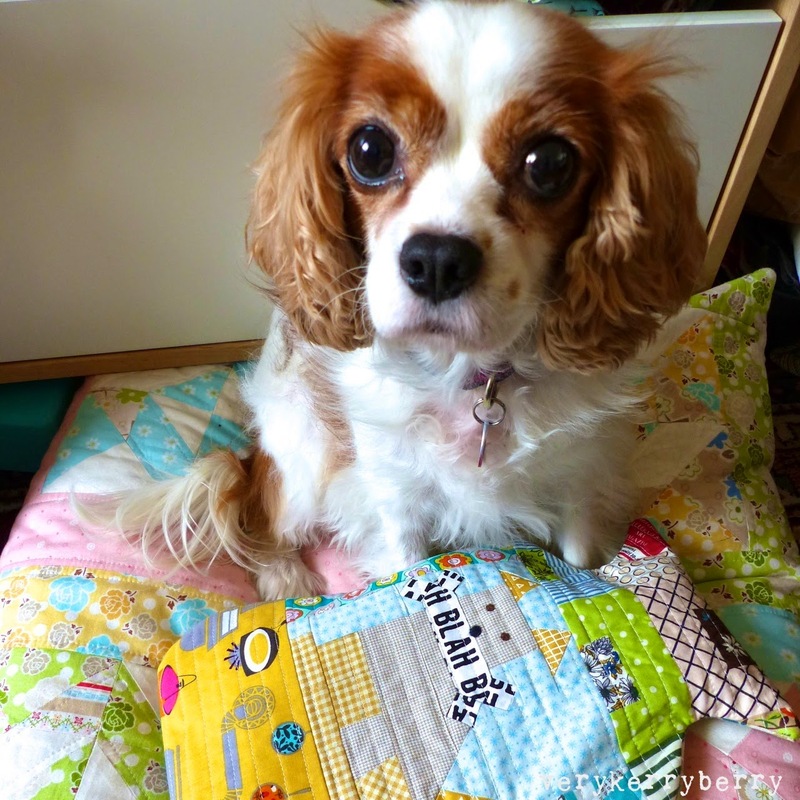 Sometimes it is supporting a friend like Lori Holt and her books for Sew Emma. Or it might be patterns for Fat Quarterly because I consider Brioni, Tacha and Lynne as friends and I respect what they do. I've worked with Fat Quarter shop and Oakshott a few times- they ask nicely, have lovely products and are generous with what they send. I do get a lot of blog emails from companies that don't ask so nicely, want to send things I am not so keen on or think that blog traffic is sufficient benefit for me to give up hours of my free time to promote them. I always respond to requests but I don't always say yes. Blog traffic is good. If you have sponsors, you need to keep a consistent level of clicks and visits to your blog. However, the balance has to be right, especially if I am working for free. I confess, I need to think more carefully before committing to unpaid work. The fear of being left out of the loop is too bigger factor in my saying yes and for the sake of my own creativity I need to overcome this. So what does all this add up to? I've still got to tot up my sewing income for this financial year as it has a few months left but it has been a typical income year so far where I've contributed to a book, sold Sew-Ichigo PDF patterns and was commissioned for four magazine projects. I would be surprised if it was much over £1000-£1200 net. Once the outgoings of fabric, patterns, notions and equipment come out of that, maybe there will be £750 left? Its a lot of time for little money. The previous financial year was higher because it included 500 Quilt Blocks, but that was the exception. I spend many of my weekends meeting deadlines for paid and unpaid work, with more unpaid than paid. Paid work often needs to be sought out. You need to develop ideas and present them to magazines, publishers etc Blogging is time consuming and is often quietly received. I could post a pretty picture on Instagram and get lots of likes, comments and instant gratification, or I can write a blog post and many might read it but only a handful will comment- such is the way of blog consumption, and the restrictions of tablets and smart phones. I am hugely grateful for those of you who jump through the hoops of your device and manage to leave a comment. Why do I do all of it? I do it because I love sewing, I enjoy engagement with others in the sewing world. A hard look at the figures has made me think I need to spend less time sewing for free/return for goods as this takes up most of my time at the moment. Instead I need to work on Sew-Ichigo more! I don't have a magic solution. There are other ways to earn money like making and selling goods through craft fairs or Etsy. They take time and organisation and you need to consider your market carefully. You need to produce what people want to buy which is not always an easy thing to discern. I never planned an income in sewing. My blog was not a strategic book pitch and sewing is first and foremost my hobby and I love it. I have turned away some money opportunities because I don't want to become an entirely commercially focused blog- it just does not interest me and the rewards are not sufficient. If you do want to be published, it certainly helps to specialise. I am not a single issue sewer- I make lots of things, quilting and clothing which is not really what a publisher wants, I am not an instant package or an easy brand to instantly pitch. I am not criticising the path of others, just explaining my own choices. 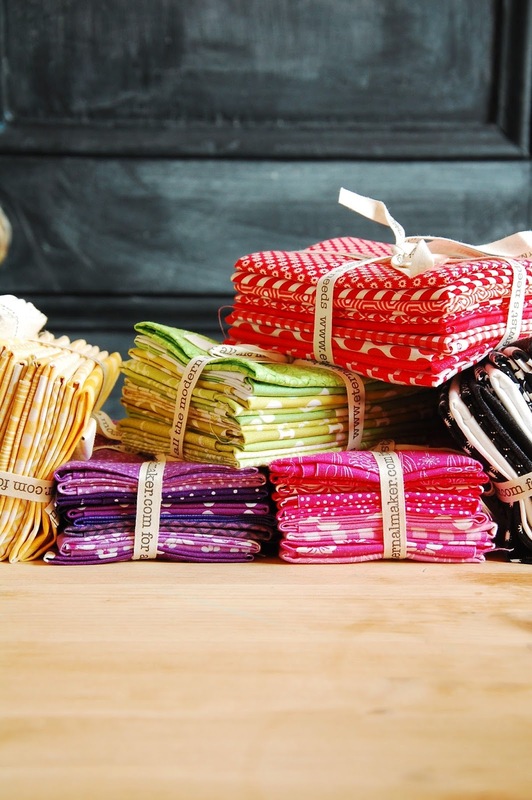 There is no easy or guaranteed way to earn money in sewing and craft. I don't know where the big money is or if there is big money for an individual to earn in the sewing industry. I know a lot of people working very hard, often on multiple enterprises, for a modest amount- that's the reality. 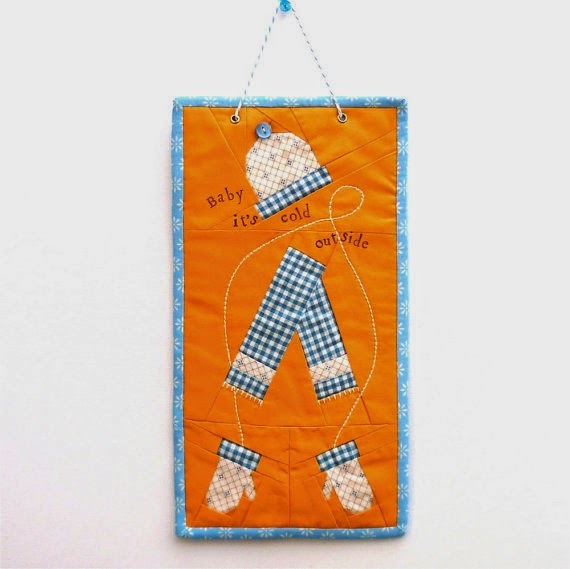 To read open debate on income and sewing as a business, I thoroughly recommend Abby Glassenberg's blog, 'While She Naps'. 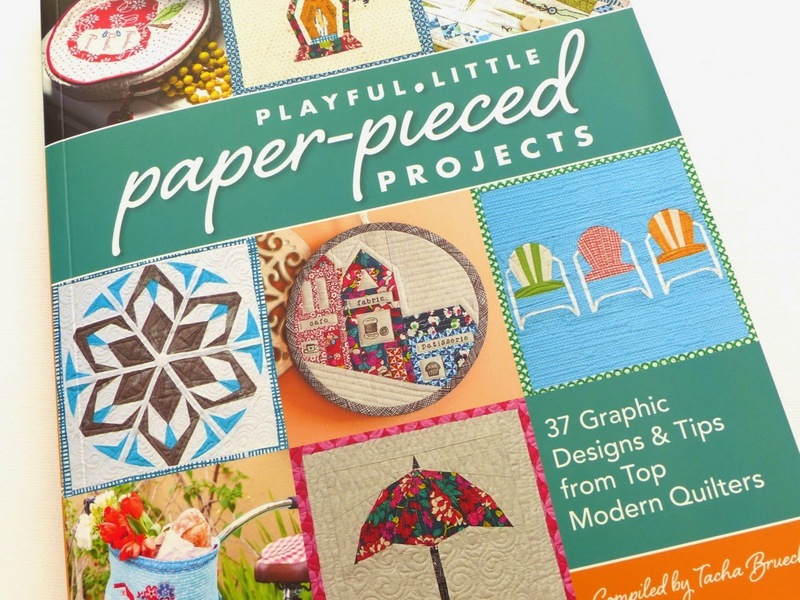 Crafty Pod: Is it Worth it to Write a Craft book? With all the above posts, the comments are well worth reading and give a range of thoughts and opinions. 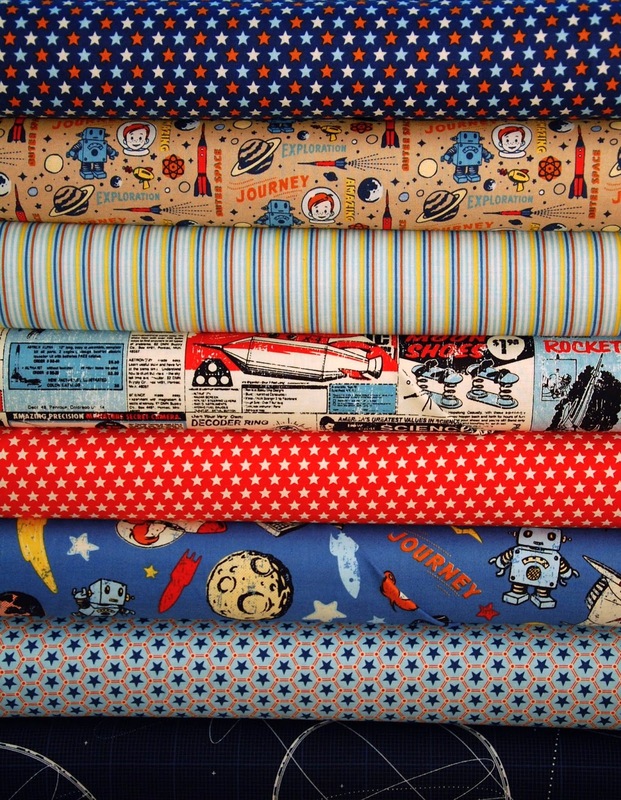 The blog is not dead, in fact, some of the most intelligent discussions about the sewing world that I have read for a long time are taking place right now. Instagram is great for eye candy and quick flick through whilst you eat your brekkie but you can't beat the space that blogs give to expand an idea and investigate further. 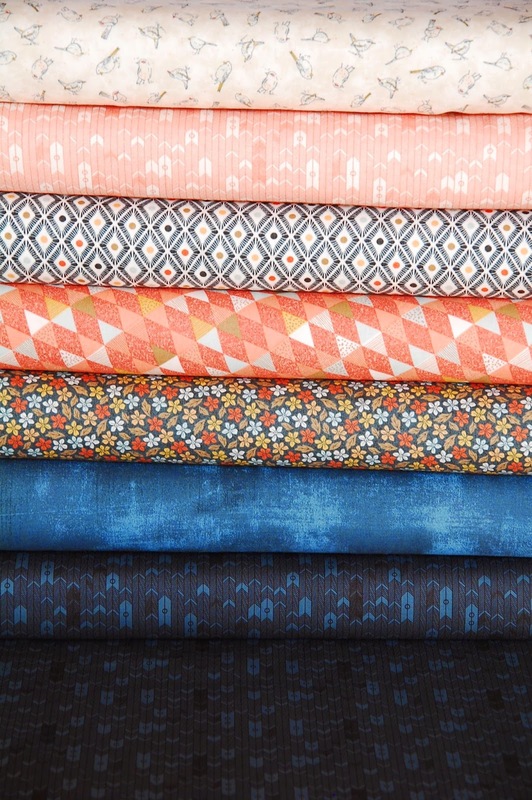 You may already have read Abby Glassenberg's recent post, 'An Inside Look at How Much Fabric Designer's Earn'. If you haven't, go read it now, its an eye opener. I knew some of this but not so explicitly. 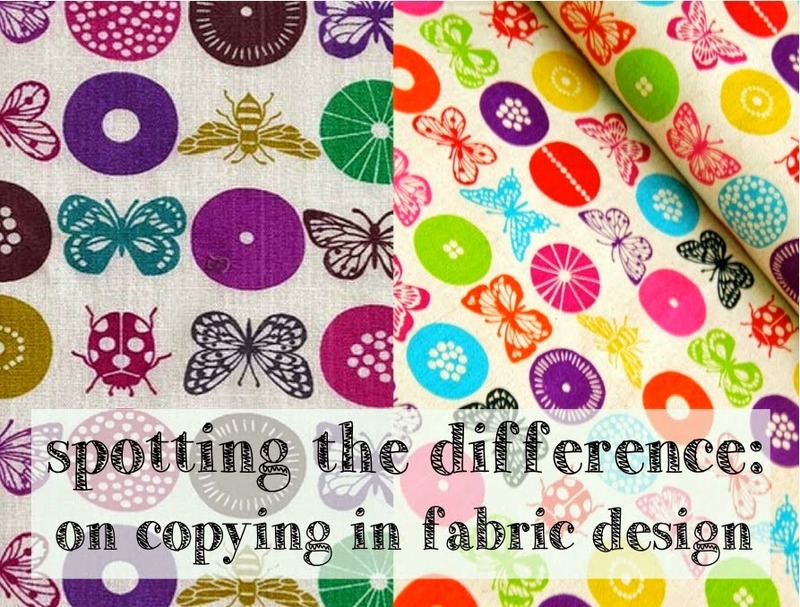 Anna at Eternal Maker has written a fascinating and equally eye popping post from the perspective of the conscientious fabric shop owner on copying in fabric design. She knows I am sharing this here and wants as many people to read this as possible. The photo above is Anna's. Go look! It makes for thoughtful reading and props (as the kidz say) to her for writing it. 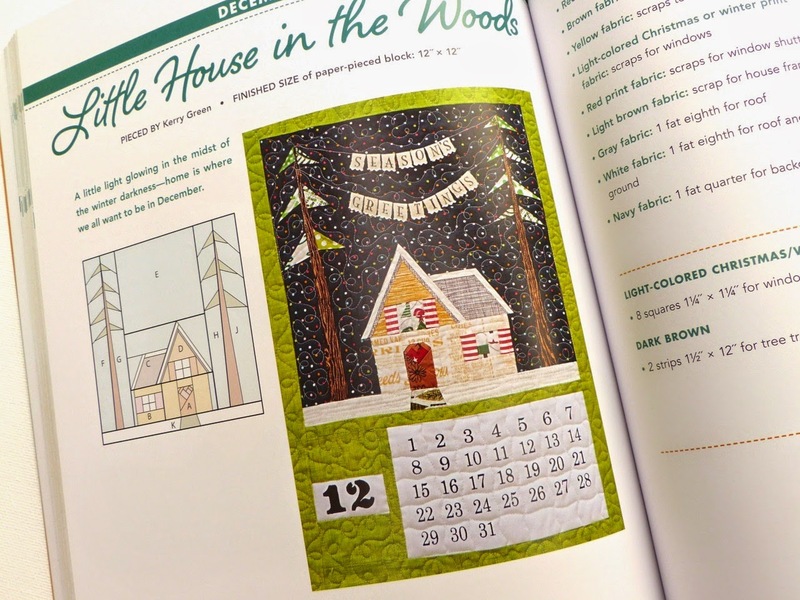 The release of 318 Patchwork Patterns in English has brought a flurry of block making from the book making and in addition to the blog hop that I was part of a few weeks ago, Al at A Thousand Needles is hosting a 318QAL. 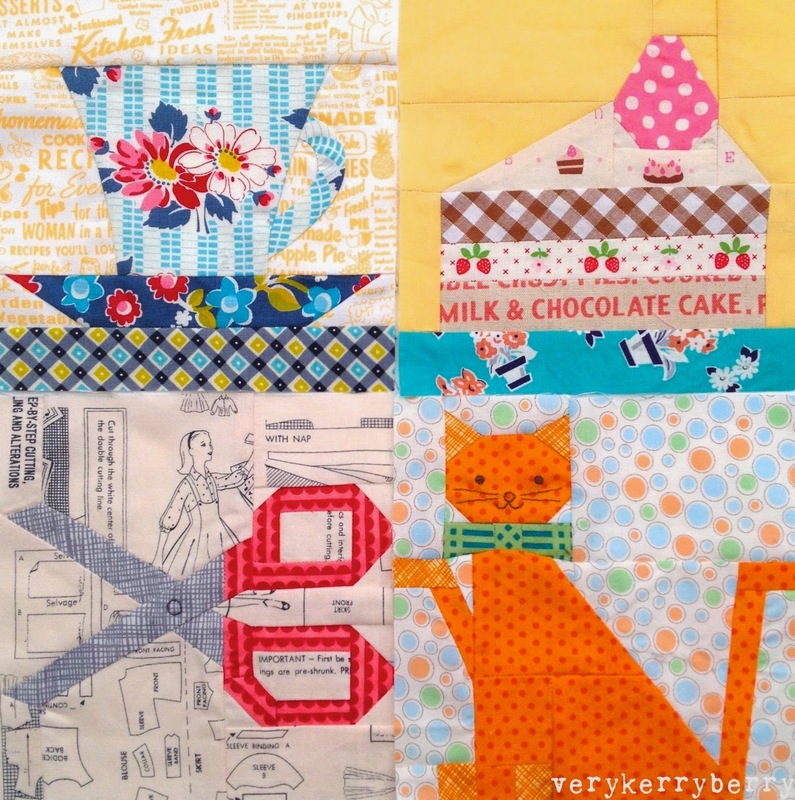 For each week of the quilt-along, she's making 4 blocks which will be part of a 318 Patchwork Patterns mini quilt. She's choosing most of the blocks and having special guests- so far Brenda from Pink Castle Fabrics and Penny from Sew take a hike and this week it's me! 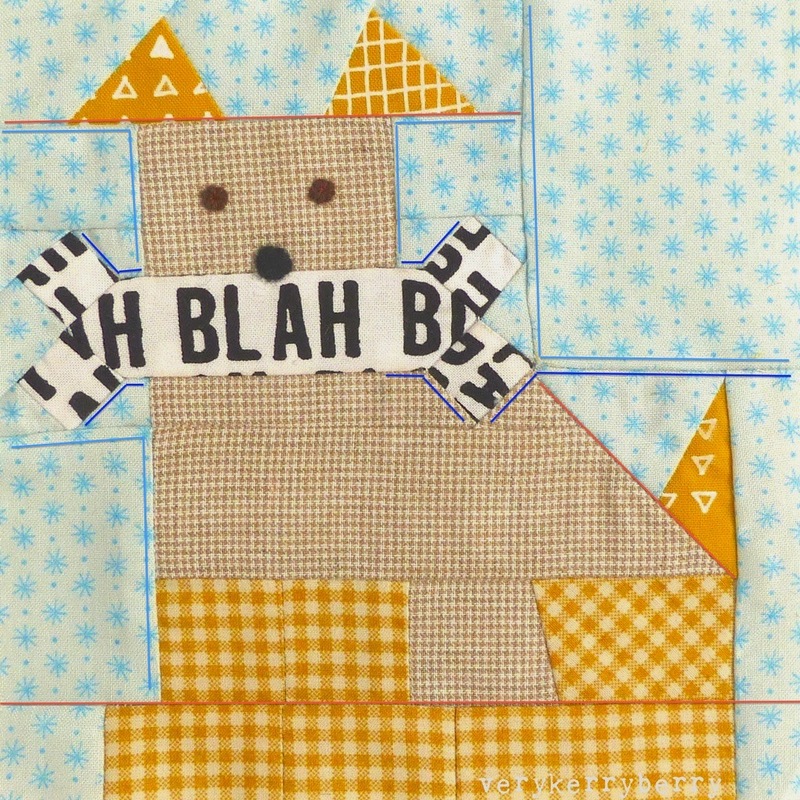 I love the animal blocks in this book, so I chose #136 dog and bone block. 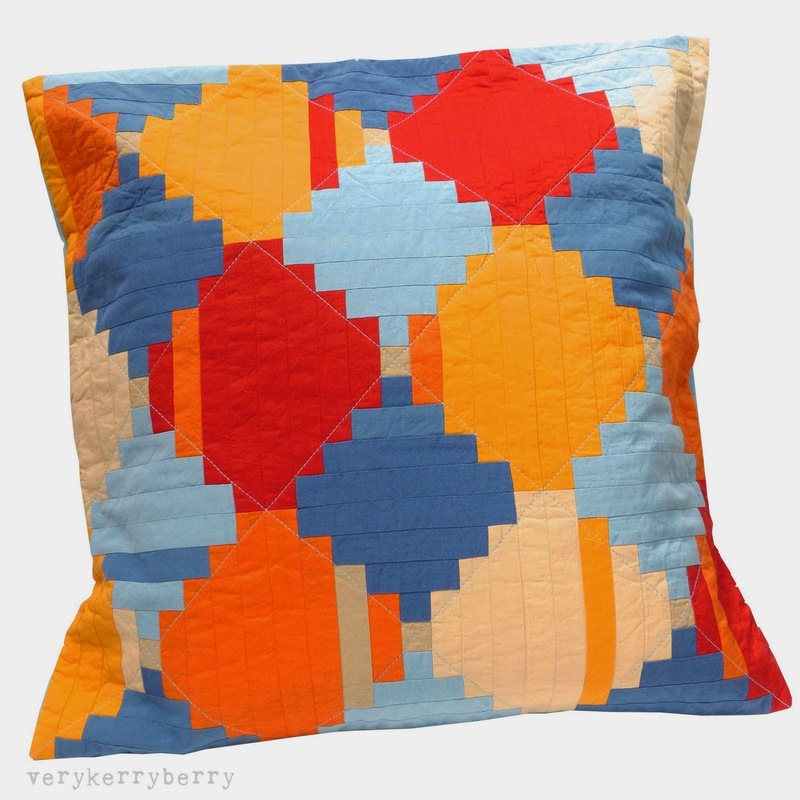 I was so enamoured with the design that I didn't notice the million Y seams involved! Apologies to Al who is making this block too! I've marked the Y seams and some of the sections below. I tried to plan this but I ended up being a very careful slow sewer and using the techniques covered here- precision is everything with so many Y seams! I did the ears, feet and tail actions first. Then the head and bone. Next the body and the final part was joining everything together. The Y seams are marked in blue- there were so many and I had not think about how I was doing this too much and rely on instinct as it did get a bit confusing! You could always add extra lines in to simplify the shape and construction as Penny did with her block. 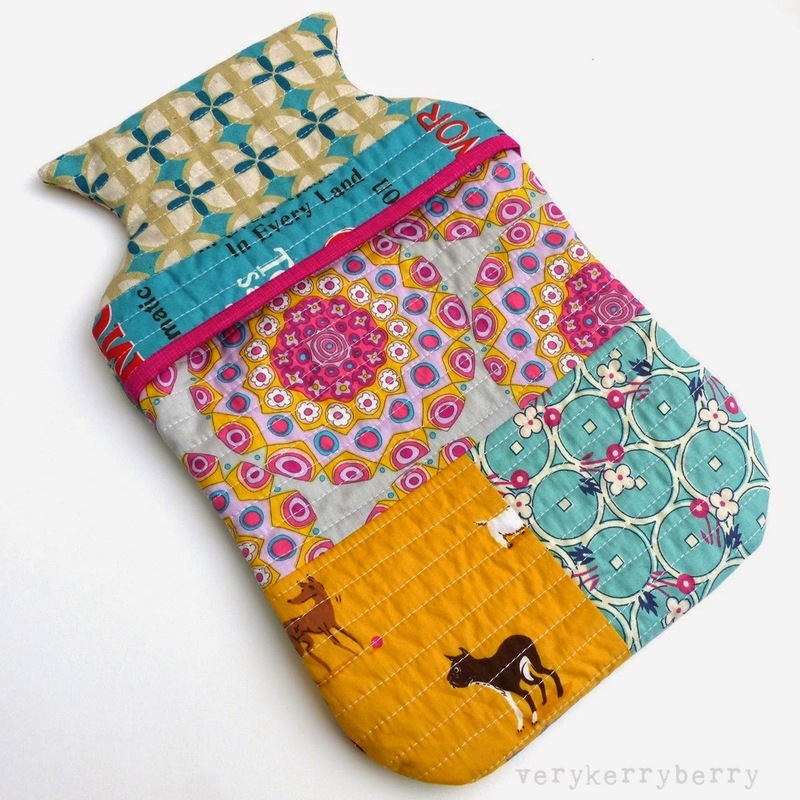 I made the 6" block into a quilt as you go hot water bottle cover for our dog Lottie. As the weather gets cooler, she loves a hottie to cuddle up with overnight. 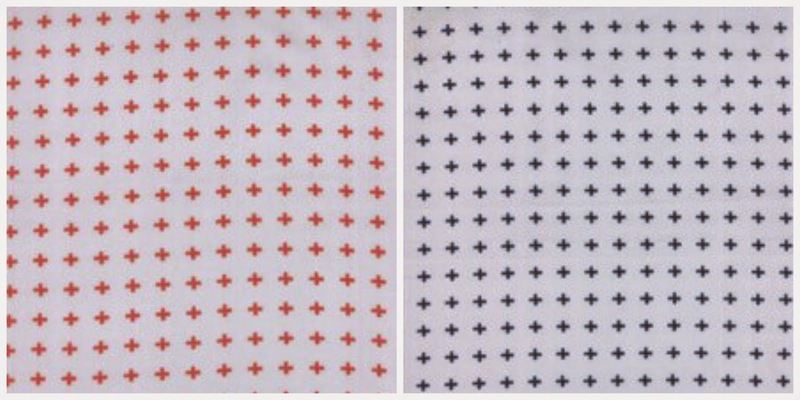 It's a simple pattern adapted from Suzuko Koseki's Patchwork Style. I lined it on the inside too with some cotton lawn to make it a thick cover that would insulate well and survive a lot of washes. Let's just say it was well received! You can find the 318QAL schedule here, week one here, and week two here. You can link up with Al by posting picks of at least 2 blocks you've made from the book and win a prize- see her posts for details.